General description of contents: Background information before being deployed, his experiences while enlisted, his life after being honorably discharged, and later years. 0:01 Were you drafted or did you enlist? 0:03 Where were you living at the time? 1:06 Why did you joined? 1:25 Do you recall your first days in service? 3:08 Tell me about your boot camp experiences? 4:59 How did you get through it? 5:26 Which war(s) did you serve in? 6:10 Where exactly did you go? 10:19 Did you see combat? 13:34 Were you awarded any metals or citations? 13:55 How did you stay in touch with your family? 14:22 What was the food like? 15:09 Did you have plenty of supplies? 16:51 Did you feel pressure or stress while there? 17:44 Was there anything you did for “good luck”? 18:59 How did people entertain themselves? 21:32 Did you get leave? If so what did you do while on it? 21:58 Where did you travel while in the service? 22:21 Do you recall any particularly humorous or unusual event? 23:23 Were there pranks that you or others would pull? 23:45 What did you think of officers or fellow soldiers? 26:05 Did you keep a personal diary? 26:17 Do you recall the day your service ended? 26:59 What did you do in the days and weeks afterward? 28:25 Did you work or go back to school? 29:04 Did you join a veteran’s organization? 29:21 Do you attend reunions? 30:03 How did your service and experiences affect your life? 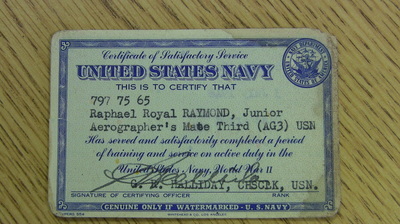 Raphael "Royal" Raymond grew up near Helix, Oregon and has lived there his whole life. He attended Helix Schools and graduated from Griswold High School in 1946. 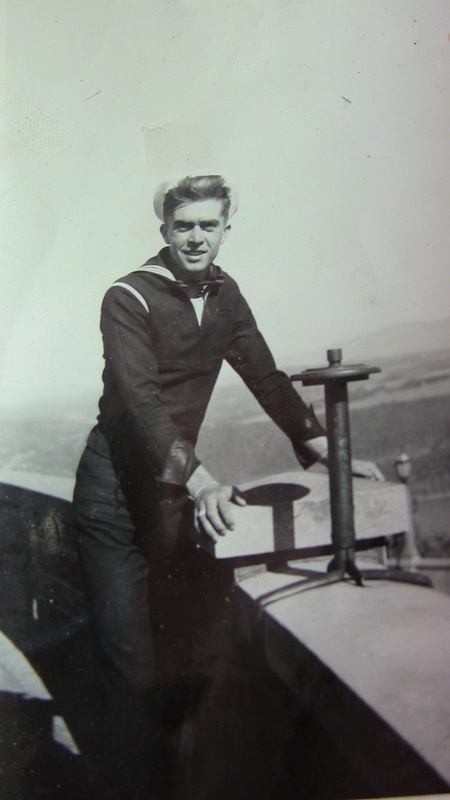 After graduation, he joined the U.S. Navy on July 6, 1946, just after WWII concluded. 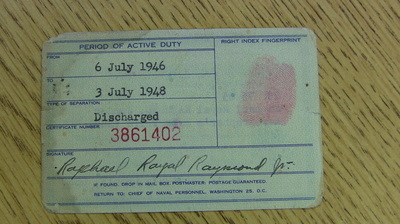 Mr. Raymond served two years. 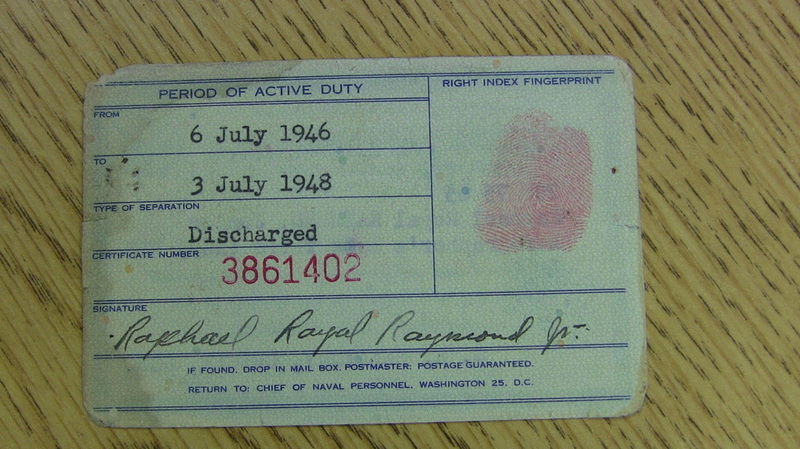 He was honorably discharged July 3, 1948 and returned to his hometown. He was sent to San Diego, California for boot camp in the Marine Corps, where he dedicated many hours to long nights and early mornings. 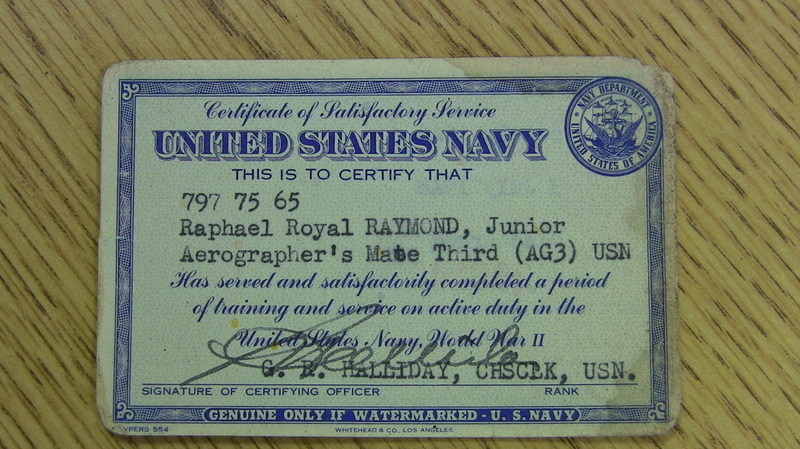 After he graduated from camp, he was sent to Hawaii where he was placed in VR8 Squadron for NATS (Naval Air Transport Service). He was then put on a ship and sent to the Pacific where he was stationed on the island Kwajalein in the Marshall Islands. While in the service, he worked as an Aerographer Mate Third (AM3) USN and was promoted to a shift chief within his department. After discharge, he returned home to his family and spent his time on the family farm. It wasn’t long before he acquired that land and he later met his wife, Wilma Raymond. Mr. Raymond says that his experience has broadened his horizons of the different types of people in the world. 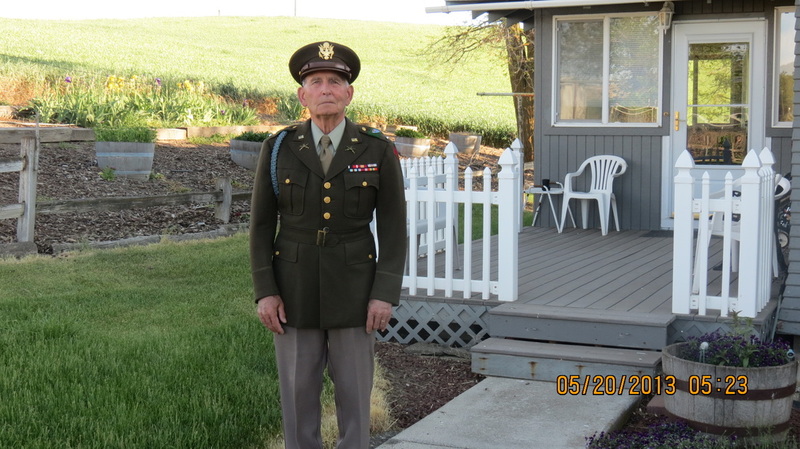 His military service made him appreciate his family and where he came from. He has been a farmer for 40+ years before retiring and handing over the farm to his kids and their families. He has since settled down, partaking in his hobbies and spending his time enjoying the little things in life.